1. 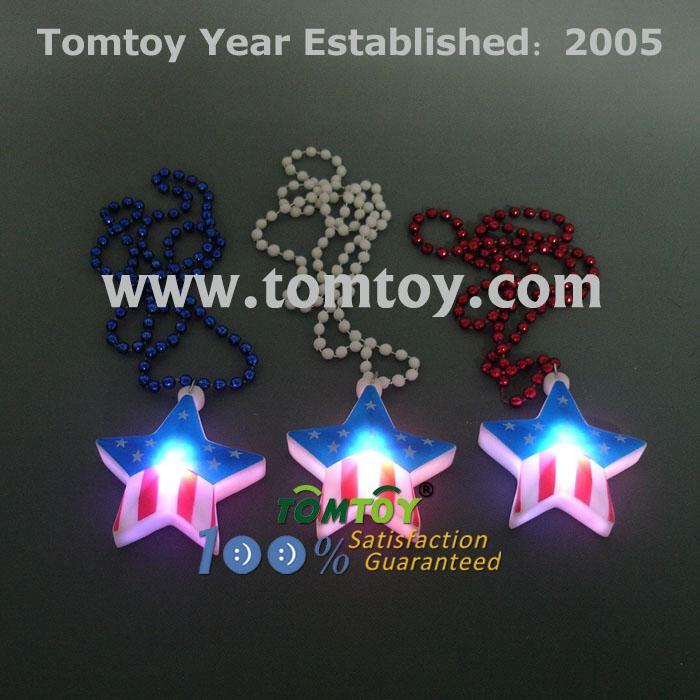 Light Up USA Star necklace with red white and blue Mardi Gras Beads are perfect for all American party! Show off your patriotic side while wearing it! 2. Perfect for 4th of July, Patriotic Parties, Political Rallies & other nighttime events. 3. Pendant lights up when you press the button on the star (batteries included). With 6 light up functions. 4. Beads necklace or black lanyard (avialable replaced) can be easily shortened or removed.